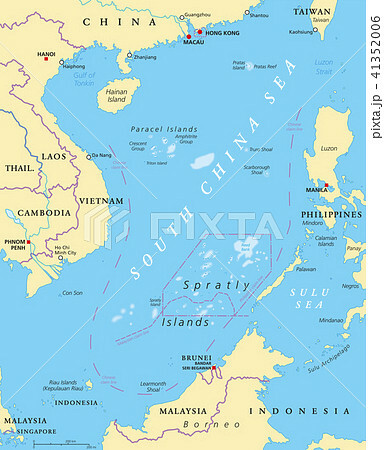 South China Sea Islands, political map. Islands, atolls, cays, shoals, reefs and sandbars. Partially claimed by China and other neighboring states. Paracel and Spratly Islands. Illustration. Vector.